This paper reports a novel green and energy-saving method to prepare ultrahigh-purity lead from spent lead plate grids via a pressing-electrorefining process. The lead plate grids from spent lead-acid batteries were firstly pressed into high-density crude lead plates, then the crude lead plates were electro-refined in a NaOH–NaHPbO2 solution plus additive of JZ04 to recover an ultrahigh-purity lead. 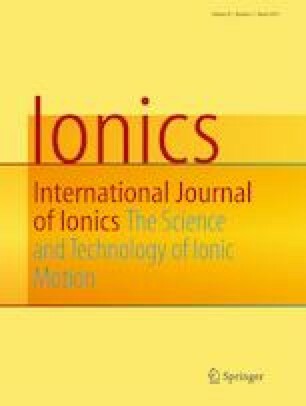 This paper systematically studied the effects of electrolyte temperature, the concentration of NaOH and Pb2+, additives, and current density on the anodic stripping process, cathodic electrodeposition process, and electrorefining process via constant current electrolysis, AC impedance, and LSV methods. The lead plate grids, anodic stripping product, and cathodic electrodeposited lead were examined by field emission scanning electron microscope, EDS, XPS, and ICP analytical methods. Results show that under the optimum conditions, the energy consumption of electrodeposition is only 18 kW·h·(t Pb)−1 with the recovery efficiency of 99.7%; the purity of obtained lead reaches 99.9991%, much higher than the criteria of the European (EN 12659-1999, 99.99%) and the Chinese standard (GB/T 469-2013, 99.994%). The online version of this article ( https://doi.org/10.1007/s11581-019-02956-z) contains supplementary material, which is available to authorized users. This work is supported by the National Natural Science Foundation of China (21676022) and the Fundamental Research Funds for the Central Universities (BHYC170A).